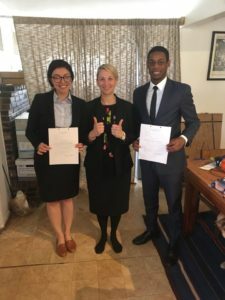 Kevin Coker ’18 and Yalda Godusi ’18, working under the supervision of attorneys Elizabeth Matherne and Meredyth Yoon of the Southeastern Immigrant Freedom Initiative, successfully argued two separate bond motions on behalf of immigrant detainees. Coker and Godusi traveled with a team of seven Vanderbilt students led by Assistant Dean for Public Interest Spring Miller to work with SIFI attorneys representing detainees at an Immigration and Customs Enforcement detention center in Stewart County, Georgia. The cases Coker and Godusi argued involved recent immigrants from Guatemala and Honduras who entered the U.S. to apply for asylum because their families have been targeted by gangs. The men are two of the approximately 1,700 immigrant detainees currently held at the Stewart County Detention Center. The Southern Immigrant Freedom Initiative was recently formed by attorneys from the Southern Poverty Law Center to represent detainees held at Stewart before immigration court in bond hearings. The team of VLS students also included Randy Hiroshige ’19, who organized the trip; Kylie Mintz ‘20; Muna Abdallah ’20 and William Ladd ’20, and a graduate student earning a master’s degree in Latin American Studies, Andrea Delgado ’18. “Our students knocked it out of the park!” Miller said. The Vanderbilt team worked with SIFI staff to screen detainees to determine the facts of their case, which allowed SIFI attorneys to identify those who could be eligible for bond or legal relief. While many detainees were from Mexico and Central America, students also interviewed detainees from Asian and African nations. “We were trying to get the facts of their situation, understand how they got here and look for possible forms of relief,” Godusi said. Godusi plans to join Quarles and Brady in her hometown of Phoenix, Arizona, after graduation, while Coker plans to join the Nashville Public Defender’s Office as a Gideon Fellow. Hiroshige plans to spend summer 2018 working with the Texas Rio Grande Legal Aid in Brownsville, Texas, where he will focus on immigration issues. 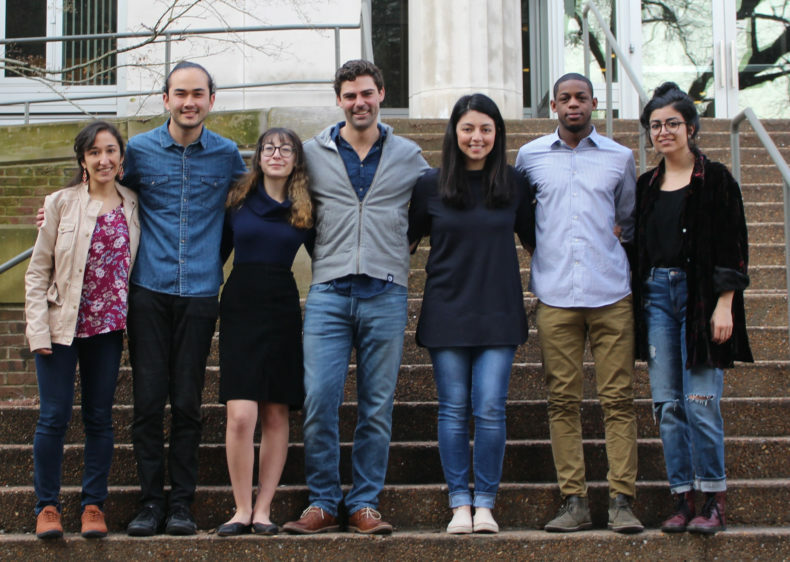 The SIFI Pro Bono Spring Break Trip to Lumpkin was one of two Pro Bono Spring Break trips sponsored by Vanderbilt’s George Barrett Social Justice Program, Law Students for Social Justice and the Office of Public Interest. Photo: Lumpkin, Georgia Pro Bono Spring Break Team, pictured left to right: Andrea Delgado MA’19, Randy Hiroshige ’19, Kylie Mintz ’20, Will Ladd ’20, Yalda Godusi ’18, Kevin Coker ’18 and Muna Abdallah ’20.